A stye looks like nothing more than an irritating bump on the eyelid. And this is usually true. But untreated styes occasionally spread and become serious infections. A stye is a bacterial infection of the glands at the edge of the eyelid. The bacteria involved are usually Staphylococcus aureus, the bacteria that can also cause impetigo. Styes are common in children. Once a child has had one, there is an increased risk of having another. Styes look like bumps at the edge of the eyelid. They may be tender, swollen, red, and/or warm to the touch. The bacteria in a stye could cause a stye or another infection (such as impetigo) if they enter a break in the skin or an eyelid gland. Styes usually last several days, whether or not it is treated. Most often, the body will eliminate the infections with no outside help. It is diagnosed from the location and physical appearance. The initial treatment for styes is usually warm compresses to the eyelid at least three or four times a day. These compresses increase the blood supply to the area, aiding the body’s attack against the bacteria. Sometimes antibiotic ointment or drops are prescribed. If untreated, the infection occasionally spreads and requires systemic antibiotics, or even surgical drainage, to treat. How can a stye be prevented? In children who are susceptible to styes, gently cleaning the eyelid with a clean, warm washcloth can help prevent the pores from becoming clogged. 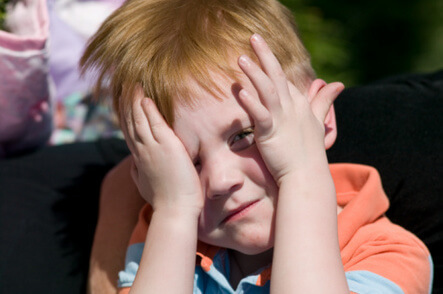 Avoiding touching or rubbing the eyes, especially with unwashed hands, can also prevent styes.